In 2017, I was lucky enough to be part of a UN workshop on the theme of women in space. Most of it was run at the offices of UN Women, but one session was in UN HQ in New York City. 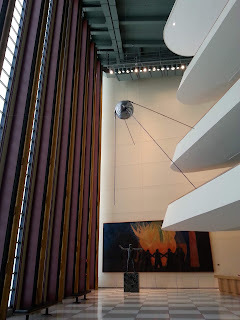 I was delighted to see a model of Sputnik 1 suspended from the ceiling in the lobby. The model was presented to the UN by the USSR in 1959. 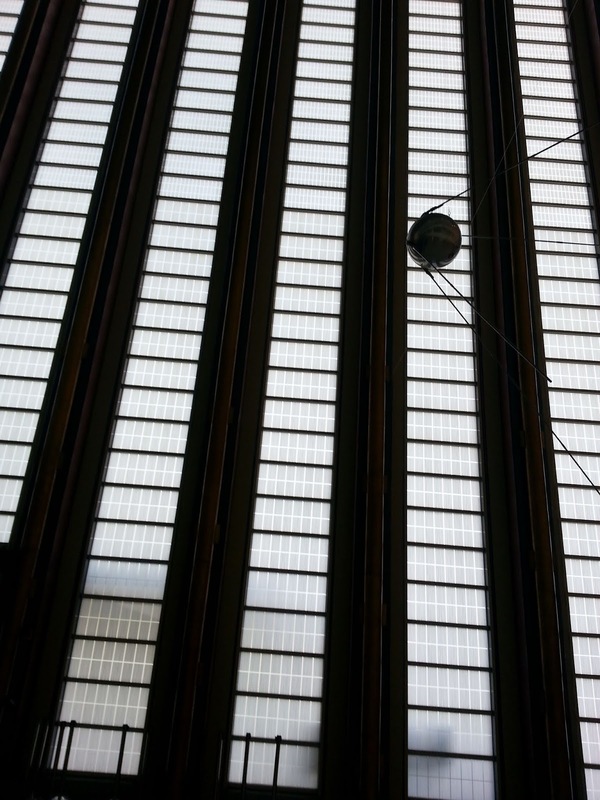 The satellite itself of course no longer exists, having re-entered after three months in orbit in January 1958. I wonder what you would find if you made a catalogue of all the Sputnik models that existed in the world - a footprint of its cultural influence? The catalogue would include the model that usually resides on my office desk, for example. You'd never be able to track them all - there must be so many small ones produced as models or toys dispersed throughout the world. Some would be in museums; some in public institutions like the UN; others in universities. The rest would be in schools, people's houses and who knows where else. Models don't have to be accurate, either. Perhaps there are some that are larger than the original satellite, which was 58 cm in diameter. Many would be smaller. They may use different materials, or get the angle and size of the antennas wrong. 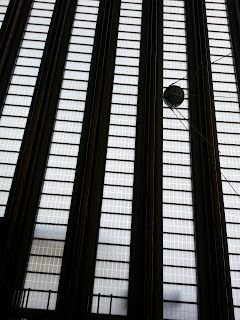 But they'll all have a shiny sphere with four long legs, the essential features of this space object which have come to symbolise the early Space Age.